If you or a loved one has been charged with a crime in Burbank, you may qualify for an alternative, which could allow you to avoid a conviction. 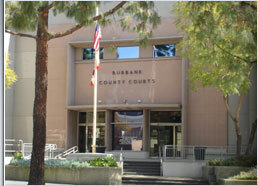 George Kita works tirelessly presenting creative options in eligible cases to prosecutors, to steer cases away from criminal convictions in Burbank Court whenever possible. He can determine if your case may qualify for a Diversion Program or Office Hearing, and provide an honest evaluation of your best options. Importantly, the California legislature recently passed AB 2124, which makes dynamic changes to criminal diversion law, with consideration for increased eligibility in many misdemeanor cases. Don't let one mistake negatively impact your future. If you are approved for a Diversion Program or Office Hearing, you can earn a dismissal on your case, and move on in your life! Call George Kita and find out if you may be a good candidate for this, at 818-536-3630! George Kita emphasizes developing all available options for clients. He has presented numerous clients' cases for City Attorney Diversion/Office Hearings, including, petty theft, shoplifting, burglary, hit and run, and battery. You owe it to yourself to explore all possible options for your case. Contact Mr. Kita about options for your case, at 818-536-3630! *City Attorney Diversion and other alternative options are only available on a case-by-case basis, depending on the circumstances, facts, and law.